The Union Government has unveiled National Mineral Exploration Policy (NMEP), 2016 for adaptation of comprehensive exploration of non-fuel and non-coal mineral resources. NMEP, 2016 Aims to bring together best of knowledge and experience, modern technology, trained manpower and financial resources on a collaborative platform. Uncover full mineral potential of the country in order to put the nation’s mineral resources (non-fuel and non-coal) to best use and maximize sect oral contribution to economy. Emphasizes on making available baseline geo-scientific data of world standards in the public domain, quality research in a public-private partnership (PPP). Pave way for the special initiatives for search of deep-seated and concealed mineral deposits. Undertake quick aero geophysical surveys of country and creation of dedicated geo sciences database etc. The Union Ministry of Mines will carry out auctioning of identified exploration blocks for exploration by private sector. Auctioning will be done on the revenue sharing basis in case their exploration leads to auctionable resources. The revenue will be borne by the successful bidder of those auctionable blocks. Gives emphasis to use of space technology to check illegal mining by developing a mining surveillance system. Uniform license for exploration and production of all forms of hydrocarbon HELP has a uniform licensing system which covers all hydrocarbons, i.e. oil, gas, coal bed methane etc. under a single license and policy framework. Open acreage policy under this policy a bidder may seek to explore any block which is not already covered by exploration by applying to the government. The government after examining the expression of Interest and justification may call for competitive bids after obtaining environmental and other clearances. This will help in tapping unused potential blocks. Easy to administer revenue sharing model will replace the profit sharing model used by earlier contracts. Earlier profits were shared between the government and the contractor after recovery of the cost. With the change, government need not be concerned with the cost incurred and instead will receive a share of the gross revenue from the sale of oil, gas etc. This change will augment the government’s policy of “Ease of Doing Business”. For deep water and ultra deep water areas, concessional royalty regime will be implemented. There will not be any royalty for the first 7 years and a concessional royalty of 5% in deep water areas and 2% in ultra deep water areas. Further, for shallow water areas, there will be reduction in royalty rates from 10% to 7.5%. The contractor can have free hand in pricing and marketing of gas produced in the domestic market on arms length basis (when a buyer and a seller act independently and have no relationship with each other and both parties in the deal act in their own interest. They are not subject to any pressure from the other party). The government’s profit share will be calculated depending on the higher of prevailing international crude or actual price to protect government’s revenue interests. It paves way for the modernization of the oil and gas exploration policy. It is expected to boost new exploration activities for oil, gas and other hydrocarbons and reduce import dependence. It has the potential to increase the employment opportunities especially in the petroleum sector. It has potential to bring in substantial investment in to this sector. Shifting to revenue sharing model will help in “ease of doing business” and “minimum government maximum governance”. Revenue sharing model will bring in revenue to the government immediately on production unlike in cost recovery model where the government shares the profit only after contractors claim of cost incurred by them. Disputes, corruption, administrative delays, administrative discretion, arbitrations and litigation will reduce and result in growth. The uniform license policy will encourage the contractors to explore conventional as well as unconventional sources of hydrocarbons under a single license. The Open Acreage Policy will enable the companies to choose the blocks which interest them. This will help in enhanced exploration activities and tapping of untapped resources. HELP provides more pricing freedom to the companies. Although, the revenue sharing model will enhance the investment recovery period for these companies, the prospect of less government intervention is an incentive. Since HELP is applicable to existing discoveries that are yet to commence production, the companies like RIL, ONGC, Gujarat State Petroleum Corporation stands to be benefitted. The Union Cabinet approved the National Health Policy 2017. It will replace the previous policy which was framed 15 years ago in 2002. It aims at providing healthcare in an “assured manner” to all by addressing current and emerging challenges arising from the ever changing socio-economic, epidemiological and technological scenarios. It aims to raise public healthcare expenditure to 2.5% of GDP from current 1.4%, with more than two-thirds of those resources going towards primary healthcare. It envisages providing a larger package of assured comprehensive primary healthcare through the ‘Health and Wellness Centers’. It is a comprehensive package that will include care for major non-communicable diseases (NCDs), geriatric healthcare, mental health, palliative care and rehabilitative care services. It proposes free diagnostics, free drugs and free emergency and essential healthcare services in all public hospitals in order to provide healthcare access and financial protection. It seeks to establish regular tracking of disability adjusted life years (DALY) Index as a measure of burden of disease and its major categories trends by 2022. It aims to improve and strengthen the regulatory environment by putting in place systems for setting standards and ensuring quality of healthcare. It also looks at reforms in the existing regulatory systems both for easing drugs and devices manufacturing to promote Make in India and also reforming medical education. It advocates development of mid-level service providers, public health cadre, nurse practitioners to improve availability of appropriate health human resource. It aims to ensure availability of 2 beds per 1000 population to enable access within golden hour. It proposes to increase life expectancy from 67.5 to 70 years by 2025. It aims to reduce total fertility rate (TFR) to 2.1 at sub-national and national level by 2025. It also aims to reduce mortality rate (MR) of children under 5 years of age to 23 per 1000 by 2025 and maternal mortality rate (MMR) to 100 by 2020. It also aims to reduce infant mortality rate to 28 by 2019 and reduce neo-natal mortality to 16 and still birth rate to ‘single digit’ by 2025. The cornerstones of the new policy are competition, consumers, connectivity and investment (both domestic and foreign). Its vision is to make flying affordable and convenient and pave for significant growth in the civil aviation sector. To improve ease of doing business through simplified procedures, deregulation and e-governance. To achieve 30 crore domestic ticketing by 2022 and 50 crore by 2027. To increase the domestic passenger traffic by four-fold to 300 million by 2022. 5/20 Rule Scrapped The government has scrapped the 5/20 rule. According to the rule, only local airlines having a fleet of minimum 20 aircrafts with at least five years of operational experience are allowed to fly overseas. This rule has now been replaced with a new rule that offers a level playing field. Now, the airlines can fly overseas if they have a fleet size of 20 aircrafts or 20% of the total seat capacity in term of average number of seats on all departures put together, whichever is higher for domestic operations. The Union Government has unveiled Defence Procurement Procedure 2016 (DPP 2016). It was unveiled by Union Defence Minister Manohar Parrikar on the sidelines of the Defexpo-2016 held in Goa. The DPP 2016 will replace the Defence Procurement Procedure 2013 (DPP 2013) and shall come into force on 1 April 2016. To ensure timely procurement of defence (military) equipment, systems, and platforms required by the armed forces through optimum utilization of allocated budgetary resources. Scope: It will cover all capital acquisitions undertaken by the Union Ministry of Defence, Defence Services and Indian Coast Guard (ICG) both from indigenous sources and import. Capital Acquisitions Schemes: They are broadly classified into 3 categories viz. Buy scheme: Outright purchase of equipment and procurements under this scheme are further categorized as Buy (Indian- IDDM), Buy (Indian), and Buy (Global). IDDM stands for Indigenously Designed Developed and Manufactured. Buy and Make scheme: The procurements are categorized as Buy and Make and Buy and Make (Indian). Make category Scheme: It seeks developing long-term indigenous defence capabilities and procurements. It empowers Defence Acquisition Council (DAC) to take a fast-track route in order to acquire weapons, which were limited to the armed forces till now. iii) Buy and Make (Indian). Buy (India-IDDM) seeks to boost indigenous production and procurements under it should 40% sourced locally in terms of the content. It will promote domestic manufacturing, including government funding R&D and recognition of the Micro, Small and Medium Enterprises (MSMEs) in technology development. The Classic IAS Academy is a leading institute based in Delhi. The institute offers Top IAS Coaching in Delhi. The institute gives importance to social responsibility, leadership development and brainpower development. The dedicated team members offer complete guidance to its aspirants. 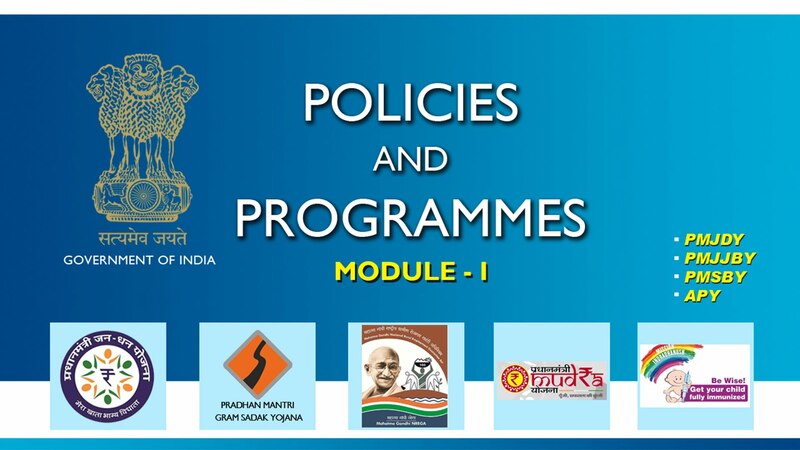 The guidance is based on all the parameters set by the UPSC.